Her rancher boss is looking for the perfect wife...and she wants the job! Poppy Sinclair kept her feelings for Isaiah Grayson secret for a decade. 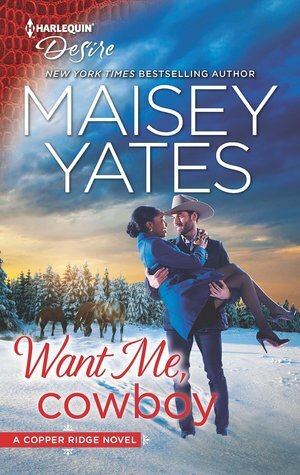 When her infuriatingly gorgeous Stetson-wearing boss enlists her help in finding him a convenient wife, she threatens to quit. Until Isaiah counters with an interesting proposal: Why doesn't she marry him? Can she say yes to sharing his life and his bed, but not his heart? This eye-opening short of how we as humans can dig in and believe what we talk ourselves into. In order to not face the world head-on while feeling the emotions. As in Isaiah Grayson’s case. All his life he has had a hard time processing info quickly. Which freezes him to the bones. So, instead of requiring him to work through it he was allowed to avoid it all throughout his life. Better yet, there were siblings to buff the road for you. Therefore, his inability to work out his emotional embarrassment, hurts, anger and so many other feelings from his only big relationship have stumped him. When he asked his assistant and friend, Poppy to place an ad, interview, and weed through the women from them he can’t understand her anger over the matter. Poppy Sinclair, started working for Isaiah when she was just eighteen. When her foster sister was then dating him. Rosalind asked him the favor of helping her out with a job and he did it. Every time he moved jobs, he took Poppy with him. When he and his siblings opened their own business, she was there on the bottom floor, right there with them. She was basically part of the family. For a foster kid that meant a lot. It killed her when she knew that her foster sister, Rosalind was the cause of the heartache that Isaiah had been going through those five years back. You see the day she started she fell in love with him on sight. She never once stepped over the line and now there has been a decade gone by and she still has never said a word about her crush. She has seen him on dates and seen his taste of women and she is not on his list. Because he likes blonde hair and blue eyes. She is mahogany skin, brown hair, and eyes. Just her luck. But she loved Isaiah quirks and all. She never minds being his go-between when it came to the world during their working hours. She also cherished their friendship. But she knew he still had major scars on his heart. When after interviewing at least six women she has had enough and confronts him. He is obtuse when it comes to emotions so he can’t read her. But earlier in the day he had made the statement in a pissy smartass way in reference to being ‘her boss’ not ‘boss/friend’ just ‘I’m your boss.’ So, it had played on her all during the interviews no self-respecting assistant at any other place would even be asked to do this for their boss. So, she quit! She had job experience, a nest egg, and at a larger company, she could get comparable pay. She didn’t have to stay with a man who didn’t appreciate what she had to offer. Why continue to torture herself watching the man she loves date other women and now marry one too. It shouldn’t be a requirement to find him a wife. She questioned him asking if he was looking for a clone of her but for at home to do wife things for him.